Every once in a while we all look for a little inspiration and today was my day. 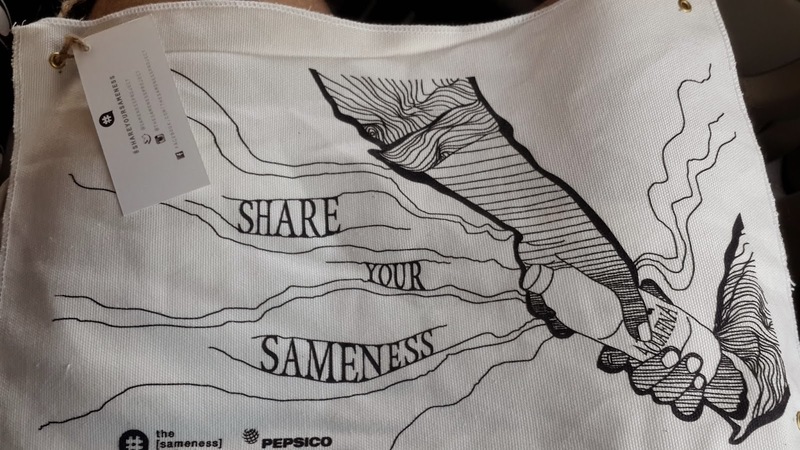 I was asked by my wife to join her for an appreciation activity called The [Sameness] Project which asks volunteers to help distribute water and handkerchiefs to those working out in the outdoors, whether it be construction workers, gardeners, garbage collection people or basically anyone who sits and toils in the heat to make life better for us in the UAE. When thinking about those who we helped out today, it gave a chance to reflect upon what they do. Often, we consider them to be poor but I don't think most of them would see themselves that way. Just because they accept a free meal, supplies, clothes or water from a complete stranger doesn't make them poor. How many of us have accepted an invitation for a free meal? Chances are, if you offer it, most people will accept it. They have come here for different parts of the world to improve the life of their loved ones. 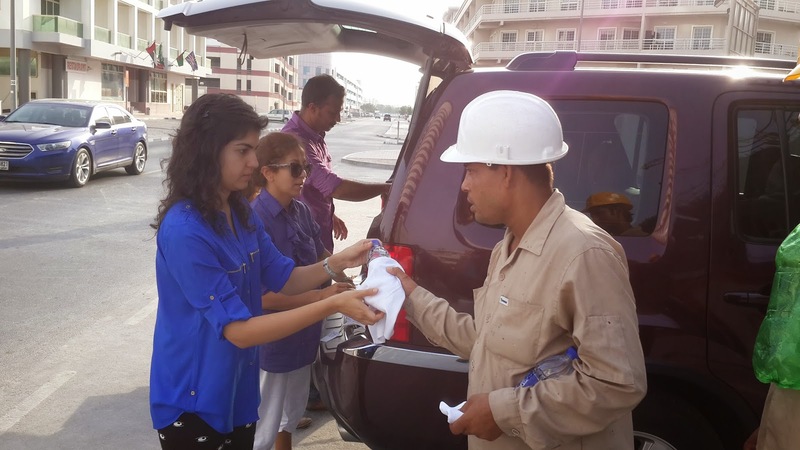 With the money they earn working in the UAE, they manage to build a house, educate their kids or help the wedding of a family member. 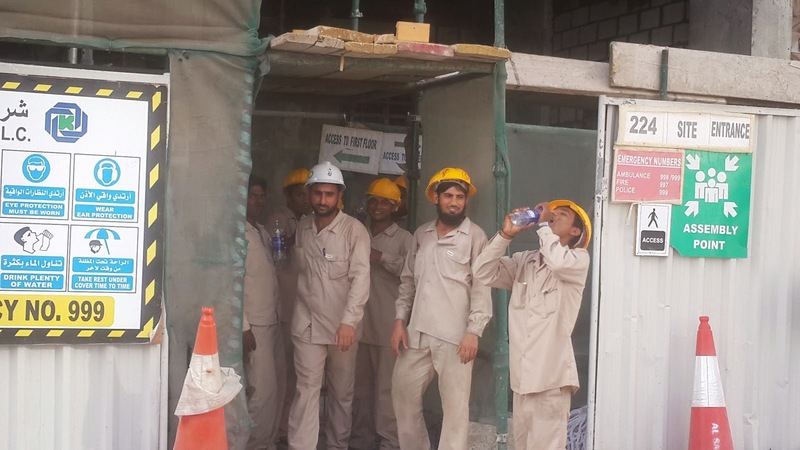 Many of these workers would know people who are poorer than them at home because they wouldn't have had to opportunity to do what these workers have done for their families. 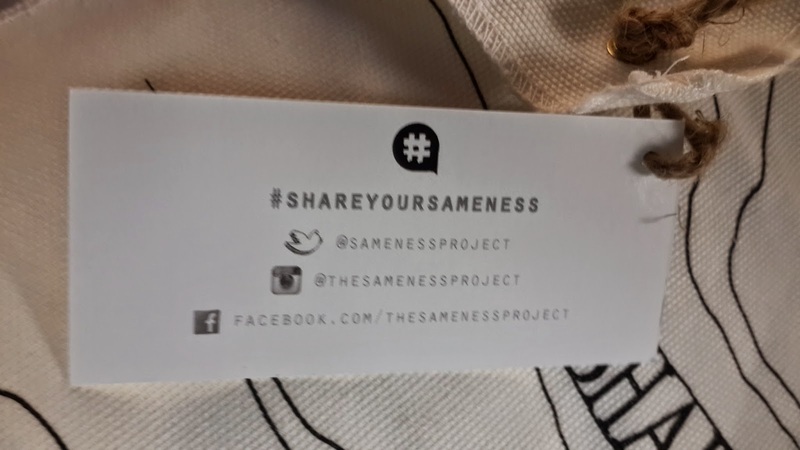 What I liked about the The [Sameness] Project was that they encouraged you to hand out the bottles of water and handkerchiefs to the workers yourself and to make sure you personally thank them. For many of them, it is a much needed impromptu break and to see the smiles on their faces helps you know you made their day a little better. I never realized the value of a handkerchief till now as many of them were happier to receive this than the bottle of water. I came home drenched in sweat and changed my t-shirt but all I did was hand out bottles of water. 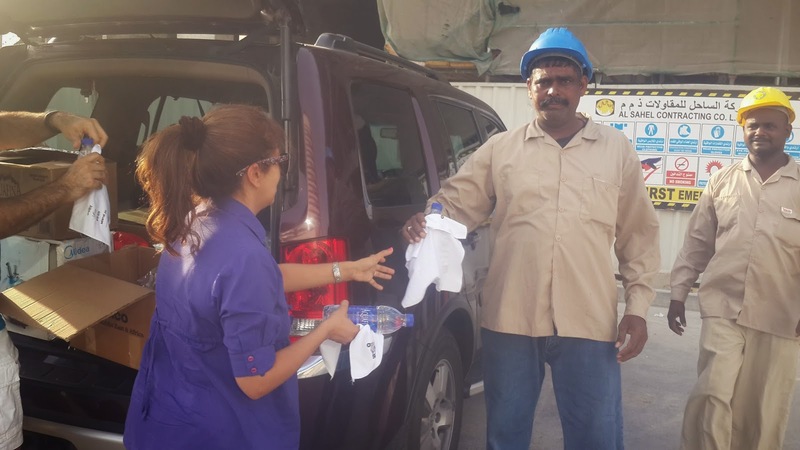 These people work in the heat and humidity all day so a clean handkerchief was an unexpected surprise for them. I'd encourage as many of you to get involved with the project. 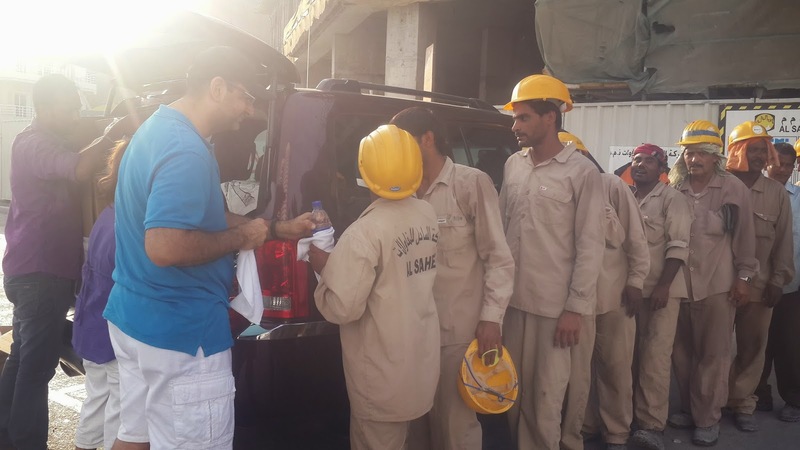 I was able to pick up the bottles of water and handerchiefs at the Collegiate American School near Al Manara Road in Umm Suqiem on a Satuday morning at 10am but you could follow their social media links to find out if they are indeed available at more locations or times. They distibuted about 10,000 bottles of water the day on the day I went and they have a chart that shows you where they need volunteers to deliver the bottles of water.